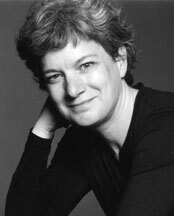 Elaine Sexton is the author of three collections of poems, Prospect/Refuge (Sheep Meadow Press, 2015); Causeway (New Issues Poetry & Prose, 2008); and Sleuth (New Issues, 2003). Her poems, reviews, and essays have appeared in numerous journals including American Poetry Review, ARTnews, Poetry, Prairie Schooner, The Women’s Review of Books, the Writer’s Chronicle (AWP), and online with Poetry Daily. Elaine Sexton, author of the collection Sleuth (New Issues Press, 2003), and the forthcoming Causeway (New Issues, Spring 2008), talks about the greatest obstacle she faced in becoming a poet.